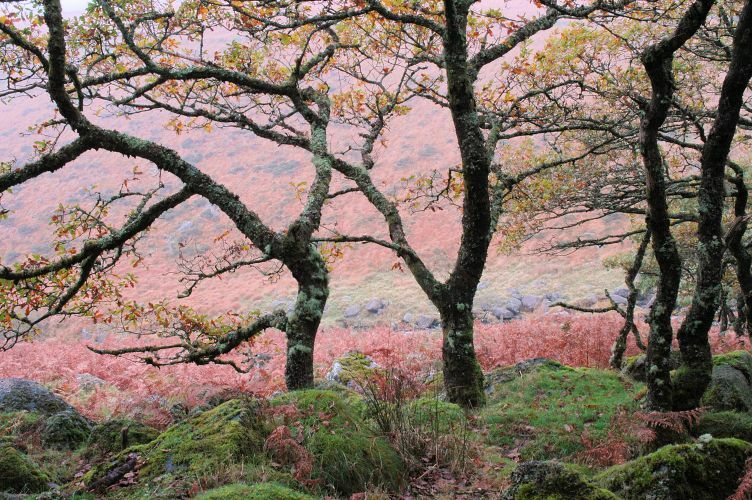 Wistman’s Wood is an ancient dwarf oakwood on Dartmoor, with a floor of wonderful mossy boulders. I visited it on a cool misty day, and chose this view of the trees silhouetted against the bracken-covered hillside beyond. Overcast helps to accentuate the rich colours – perhaps surprising in a late Autumn landscape.